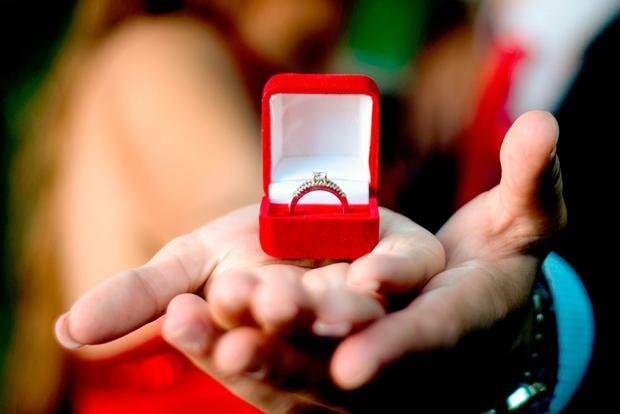 It's the latest in a long line of posts from ungrateful brides-to-be venting their frustrations about rings, venues, bridesmaids and everything else on the web. 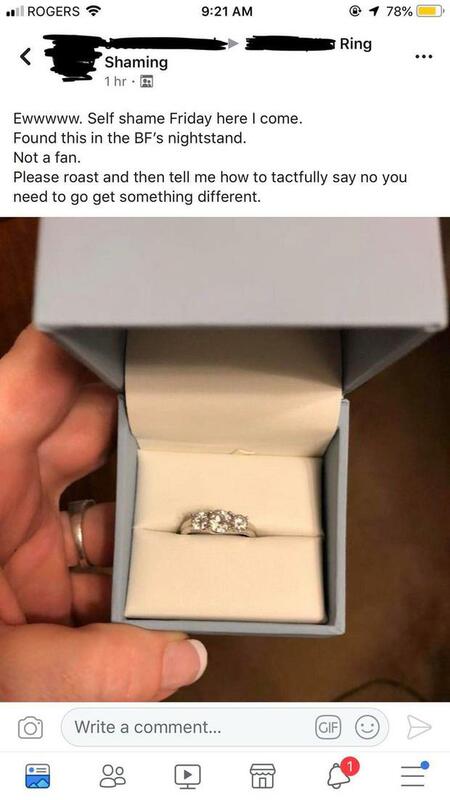 The woman posted an image of the ring on a Facebook 'ring-shaming' group. She said she foun it in her boyfriend's things when she was 'rummaging around'. However, rather than feeling excited or happy or grateful, she was disappointed, and asked the world at large how she should tell him it wasn't right. "Ewwwww. Self shame Friday here I come," she wrote. "Found this in the BF's nightstand. Not a fan. Please roast and then tell me how to tactfully say no you need to go get something different." Someone posted the image of the trilogy ring on what looks like a platinum or white gold band to Reddit where she received the roasting she had predicted. "I'm sorry your BF didn't pick out the correct blood diamonds for your pretentious group," wrote one, "That things looks pretty hefty too." Another wrote, "Girl that ring is worth more than you with that attitude" while yet another called her "entitled". Another poster defended the 'ring shaming' group, saying that there is a sister 'ring praising' group. They added that this particular ring did not get any negative reactions at all. Rather, the woman who posted the image did. They added, "For the most part it's people willingly posting their own rings with some hilarious self-deprecating humor or absurd rings found on Wish, Facebook ads, etc. What this girl above did was something majority of the group disagreed with."